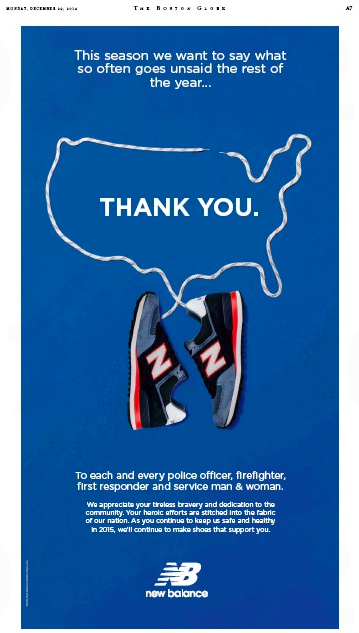 Local shoemaker New Balance yesterday saluted “each and every police officer, firefighter, first responder and service man & woman” in this full-page ad that ran in both – say it again, both – Boston dailies. Truth to tell, the ad also ran in the New York Times and the Wall Street Journal. But as the Heraldnix might say, why get technical about it.